Guelph Storm fans, listen up. 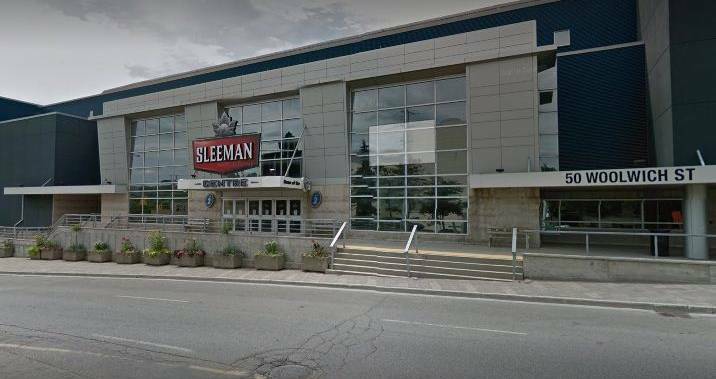 With the team playing Game 7 against the Knights in London on Tuesday night, the Sleeman Centre’s Draught Picks Tap House and Grill will be hosting a viewing party beginning at 6 p.m.
Guelph Mayor Cam Guthrie made the announcement in a video posted online. “Cheer on with all the other Guelphites and Storm fans there as they hopefully — and will —take the series against the London Knights,” Guthrie said. It’ll be first come, first serve with drinks and snacks, but the full menu will not be offered. Draught Picks is located on the second floor of the arena. A Game 7 between the Storm and Knights didn’t appear to be in the cards as London jumped out to a 3-0 series lead before Guelph won three in a row. Puck drop between the two teams on Tuesday night is scheduled for 7 p.m. If you can’t make it to Draught Picks, Larry Mellott will have the call live on 1460 CJOY. NEXT POST Next post: Tiger Woods Shook Up Golf at the Masters. It Might Be Just the Beginning.